When shopping online, many consumers prefer to compare products from different online retailers simultaneously to find the best deals. Once they find something they like, they’ll exit a few of those comparison sites with products still in their cart. Rather than viewing this as a loss, email marketers should see it as a prime opportunity to deploy a highly relevant triggered email. 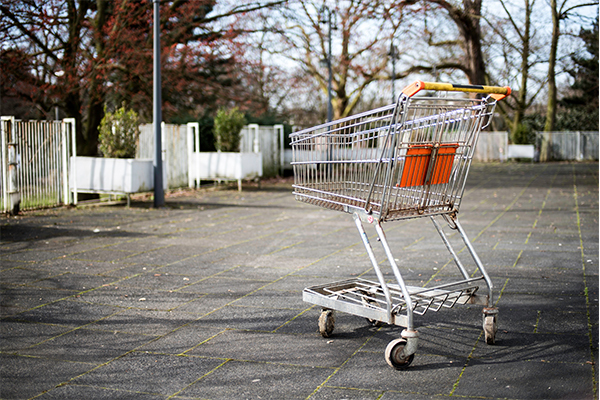 One of the best email tactics for recovering a potential lost sale due to a customer “abandoning” (essentially, leaving products in their cart without checking out) is an Abandoned Cart email campaign. This type of email can be highly effective and all online retailers should include it in their email program. It’s a smart way to recoup that potential lost sale, gather more insights into why customers leave your site without purchasing and land an even bigger sale than originally planned by your customer. 45% of cart abandonment emails are opened by consumers according to a report by Annex Cloud, and 21% of those that open the email click on content within the email reports Barilliance. 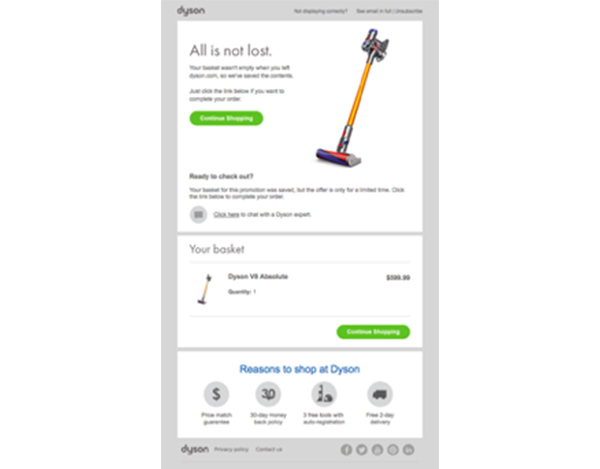 Remove friction- Remember your customer has left your site and abandoned their cart for a reason. Friction in the checkout process can greatly affect conversion on your site. 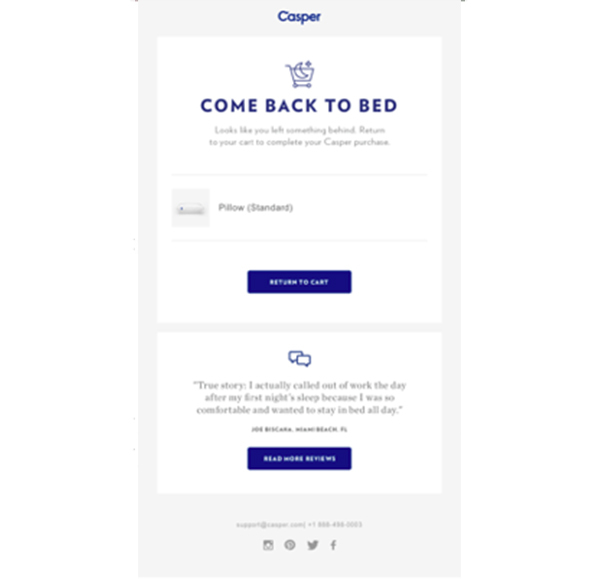 Use your abandoned cart email as a way to remove friction. Make it so easy to check out that there is no reason not to. Stretch the basket- Use this as an opportunity to show the audience other products. Remember they left for a reason. What if it was because they couldn’t find what they were looking for? What if you showed them other products that relate to the one they abandoned? 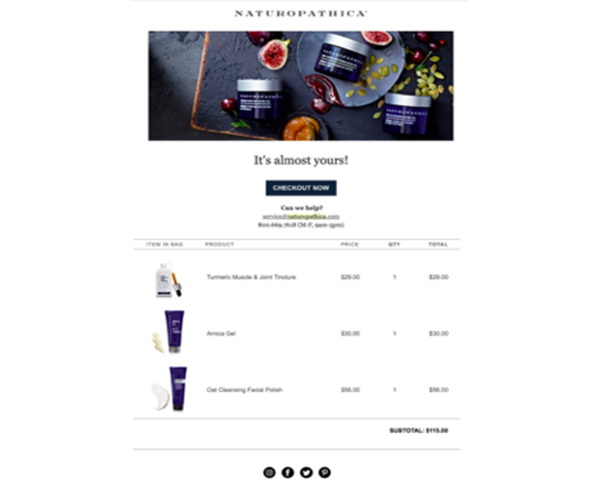 You could potentially land a basket stretch where they decide to purchase the previously abandoned product plus the additional products you show them in the email. 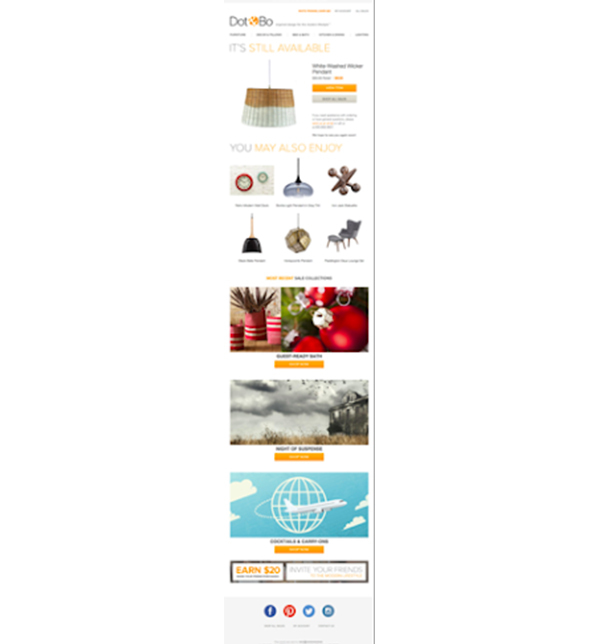 Shoot for showing additional items or suggested products that are beyond what is currently in the abandoned cart. Give more information- Sometimes, when a customer is comparing products or brands, they look to reviews or additional information to make a decision. Offering this additional information gives the customer confidence in what they are purchasing. This could be the deciding factor for your customer to check out. If you have other customer reviews and additional details that would help your shopper, this is the perfect opportunity to offer more details. Offer an incentive- Lastly, sometimes all the customer needs is a little incentive to finish the purchase. If price were a factor in the purchasing process, a little incentive can help seal the deal. This is a good way to confirm whether or not a customer was looking for the lowest price available. With an incentive-based abandoned cart email, you can find out more information on what motivates your customers to check out. Use any or all of these key features in your next abandoned cart email and you could very well see some ROI-enhancing results. 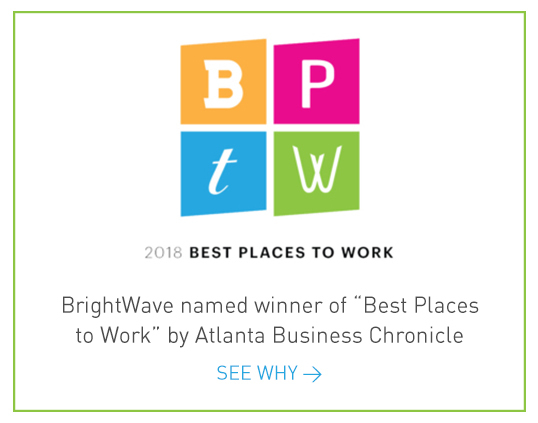 (And, if you are just starting a new program, be sure to test which features work best for your customers.) After all, you know they had enough interest to add items to their cart. They might just need a little extra email encouragement before they commit to the purchase.